Eric finally comes clean with Sarah; a mysterious person kidnaps Holly. This image from the SPHERE instrument on the European Southern Observatory's Very Large Telescope is the first clear image of a planet caught in the act of formation, according to the ESO. The planet is visible as a bright point to the right of the center of the image, which is blacked out by the coronagraph mask used to block the blinding light of the central star, dwarf PDS 70. 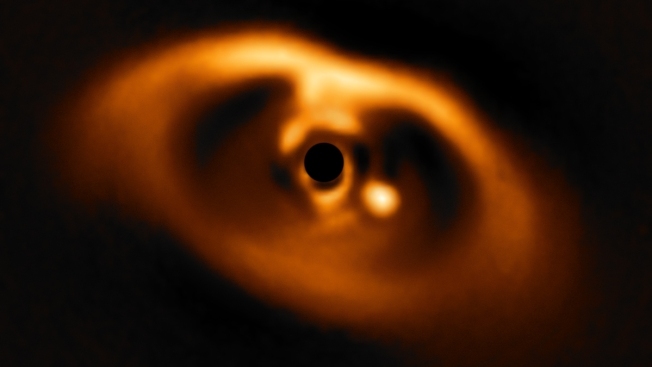 Astronomers say they've captured the first confirmed image of a planet forming in the dust swirling around a young star. Scientists said Monday the planet appears as a bright spot in the snapshot taken using the European Southern Observatory's Very Large Telescope in Chile. Miriam Kepler of the Max Planck Institute for Astronomy in Germany said hints of baby planets have been detected before, but astronomers weren't sure whether those observations might simply be features in the swirling dust. 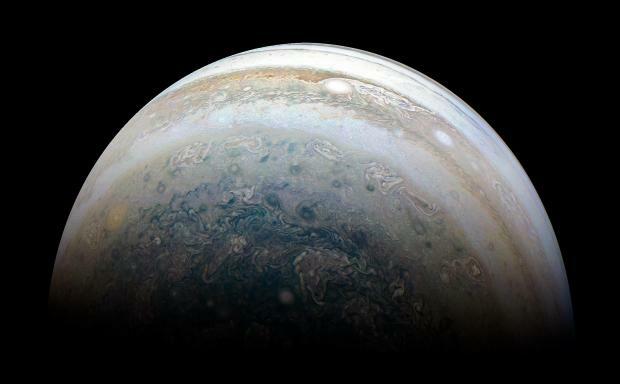 In a paper to be published in the journal Astronomy & Astrophysics, scientists describe the planet, located about 3 billion kilometers (1.86 billion miles) from the star PDS 70, as a gas giant bigger than Jupiter. They say it has a cloudy atmosphere and a surface temperature of 1,000 degrees Celsius (1,832 degrees Fahrenheit).